One thing to consider before taking your engagement pictures is incorporating props into your session! Props aren’t necessary at all, but if you ask me, I LOVE THEM. They allow my couples to interact with each other in different ways and add a personal element to the images. I’ve compiled a list (with more to come in the future) with some props that I’ve seen used successfully at my shoots. Balloons are my # 1 favorite prop right now! They add a sense of movement to the image and how can you not feel happy while your holding a big bunch of balloons?! 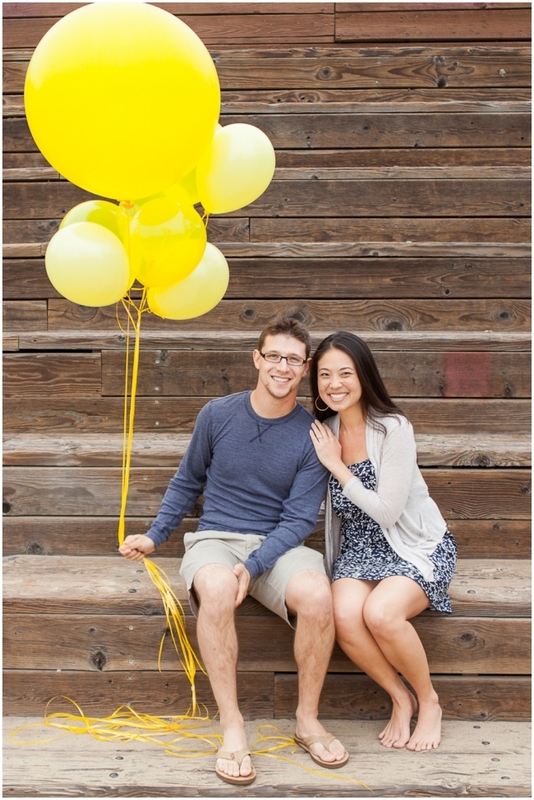 Jill and Craig’s shoot happened on a super overcast day and these yellow balloons really added a nice pop of color! Written out words on pretty paper can also be super cute and a great way to include specific phrases or ideas into your session. If (like most people) you don’t know a calligrapher, you can always get some pretty fonts online and then just print on paper! Paper goods can also make for one pretty cute save the date! Don’t you just adore these paper hearts that Dominique made? Chalkboards were at one time all the rage, and although I think they are slowly losing popularity, they are a cute, fast and easy way of adding text to your images. I love it when couples have their initials in cutout letters. Especially when they are painted and decorated to reflect their personality. If you love DIY projects, this is a simple one to take on before the shoot. I’ve found cut out letters at Michael’s Arts & Crafts stores, Paper Source and tons of other arts & crafts retailers. For a lot of couples, their canine companions are the love of their lives (aside from their fiance of course) and it just makes sense to have them be a part of the fun. I am a FOOD LOVER and I think it is great when couples integrate their favorite candy, beverages or food into their session. I think an engagement session is so much more personal when the couple brings items that represents them as a couple. Especially when its an activity that they do together. Through the entirety of their relationship, Shylah and Guy have both been working toward their masters degree. They brought some of their textbooks to represent the times that they have spent studying together. Jill and Craig both met in Hawaii and their relationship has strong ties there. This beach ball was a great way to show off their love for the beach and each other. Hope you found some inspiration for props to bring to your own engagement session! Feel free to be creative and bring something different! 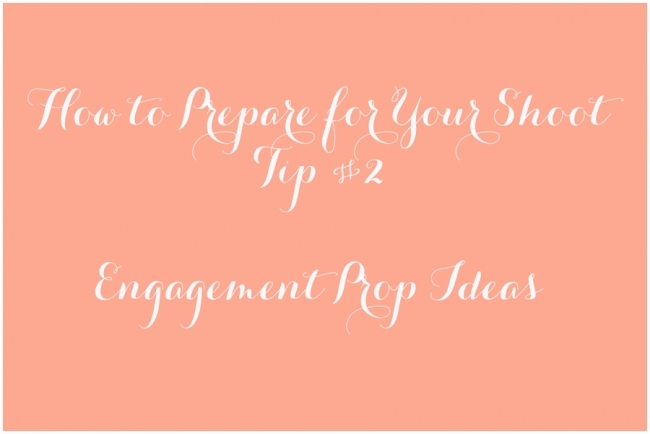 I want the session to scream YOU, so use the props to show your relationship and personality.